Varun Dhawan, John Abraham and Jacqueline Fernandez starrer Dishoom certainly doesn't want to go the Great Grand Masti and Udta Punjab way. The film is releasing on 29 July, and the makers are planning ways to combat the looming piracy threat. 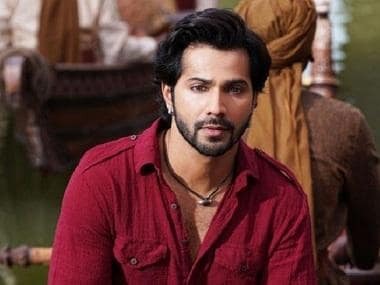 According to this Times of India report, the producers of Dishoom have approached Bombay High Court to direct all telecom, TV and digital operators to ensure the movie is not made illegally available on any platform. A still from 'Dishoom'. Youtube screen grab. This move was a result of a meeting held on 21 July, which was attended by all producers and studios in unison to combat the threat of piracy. Mukesh Bhatt, president of Film and Television Producers Guild of India, spoke to TOI, saying that the recent examples of piracy are a serious threat to the film industry as a whole, and also to the security of India's "intellectual assets." He asked for a high level probe and intervention by the PM on the matter. Meanwhile, it has been reported that an immediate measure has been taken to ensure no piracy of Dishoom occurs before its release. The copy of the movie has been submitted in an encrypted format to the CBFC for certification, in a DCP-KDM format, rather than a DVD. The makers of Dishoom surely believe prevention is better than cure.